Christi Harris CHicks Helping Other CHicks! : Christi Harris EYE DECLARE! “Whose Eyes are These?” you may ask when hit with morning mirror madness. No matter what ISSUE you are facing with your EYES, Christi Harris Beaute’ has the SOLUTION! Oh, look ..one more thing we can blame on our mother! Not exactly, but we can give credit to our familial & ethnic origins for many of the concerns surrounding our aging eyes. Even an Unsupportive Pillow Could Be Adding to Your Woes! Beautiful News, CHicks! We can remedy or camouflage any of the most common complaints surrounding our most expressive facial feature. I will share my four decades of wisdom plus pitch a few home remedies for your discovery. Because we address many frustrations here, this one’s an epistle. We’d love for you to read every word, but if you’re in a hurry, skip ahead to the issues you are facing to get the 411 on what’s bugging you! EYEBROWS: If your eyebrows are not Precision Perfect, please join us at our Dallas Beaute’ Center for our 3D Brows & Eyes Workshop. Call us to chat about schedules and availability. Change Your Brows … Change Your Life! This is For Real. CHicks, perfect brows are a game-changer! BLENDING 101: When applying any product on portions of your face to cover or conceal, the only way to achieve a truly natural, no-line, soft and flawless canvas is to utilize (1) Second Skin (Primer) and (2) Face Erase or your personal skin undertone Crème (Oil-based) Foundation with color-match perfecting Liquid Tint. (1) and (2) are BOTH complete, physical sun blocks that, when applied over my CH Moisture Lotion, will lock precious hydration in your skin for up to 12 hours. The thin, delicate skin around our eyes is unlike any other on our body. It begs for moisture and protection. We simply MUST treat it with love & respect! making it oh-so-much happier and healthier. Alleviating dehydration is the first line of defense to combat those lines & wrinkles. Using concealers, neutralizers, and highlighters are your reinforcements. Choose Smile Smoother, Blue Neutralizer, Green Screen and Eye Lift Highlighter to balance and camouflage the creepers at your peepers. It is important to not over-blend these products. Refer to BLENDING 101 above. Apply Eye Perma Stay to eyelids to even skin tone and keep shadows from creasing day to night. Smile Smoother: Fills creases, wrinkles & lines, and provides amazing lift! From temple to hairline, apply underneath the eye with Crème Contour Highlighter brush and pat/press into place. Do not over-blend! Blue Neutralizer: Using color wheel principles, cancels blue/purple discolorations. Apply in the darkest (bluest) areas. Pat/press to blend. Do not over-blend! Green Screen: High Definition base to diffuse lines, brightening the area for fantastic lift and the look of well-rested, youthful eyes! Above the brow, at temple area, overlap Smile Smoother slightly and pat/press to blend. Do not over-blend! Keep applying and blending until you notice the area lifted and brightened. Eye PermaStay: Crème-to-Powder formula neutralizes redness, fills in tiny lines, smoothing the eyelid for total sun protection and day shadow wear. Apply with Crème Contour Highlighter Brush and gently, with your ring finger, press to blend over entire upper eye lid, lash line to brow bone. Once all concealers and neutralizers are in place, lock with Setting Powder and Chiseled Powder Brush. Load the brush with powder and lightly tap off excess. Only once, in a single downward motion, gently brush onto each section of your face. Do not fret when neutralizers and highlighters are still visible. Once set, and the remainder of your makeup is in place, load the Finisher/Blender Brush with Finishing Powder. In a swirling motion with medium pressure, blend all to a flawless finish. Eye Lift Highlighter: Using tip of the Crème Contour Highlighter Brush, apply Eye Lift Highlighter directly under your lower lash line, patting to blend. 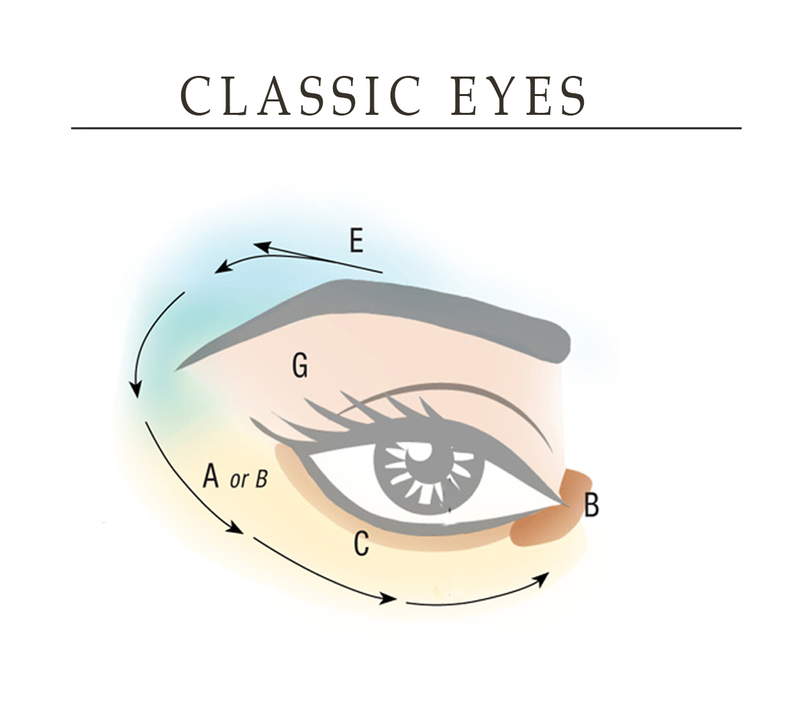 This will create a well-defined eye. Thin slices of chilled, real cucumber placed on eyes for 15-30 minutes while resting with head elevated will naturally reduce wrinkles temporarily. If that isn’t you behind those Foster Grants, grab a pair. Sunglasses serve not only as a fashion accessory, but moreover, as protection against the sun and squinting, both which contribute to lines, wrinkles and discoloration. 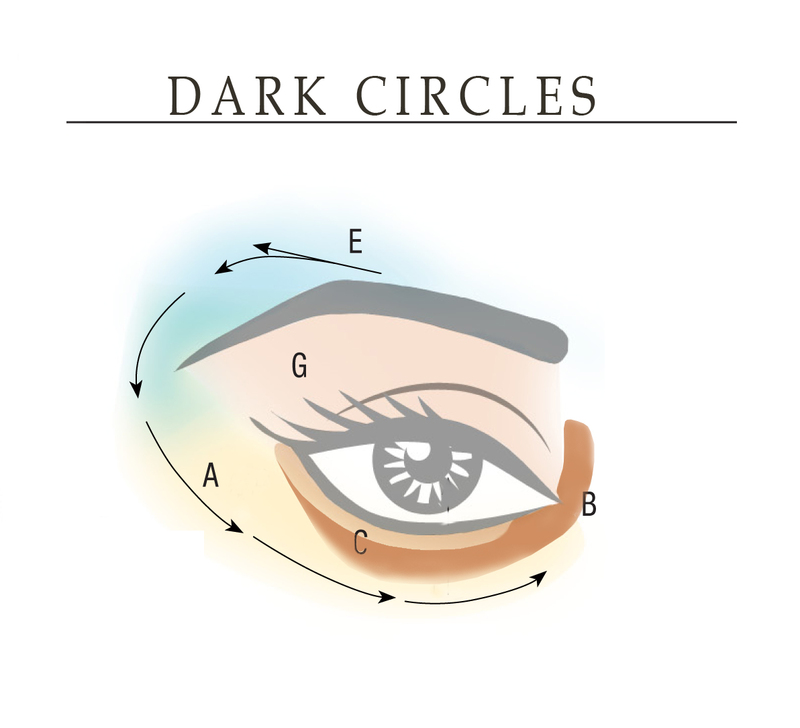 This is a broad subject because Dark Circles come in all colors; brown, blue, purple, or some combination of all three. The key here is countering the discoloration. 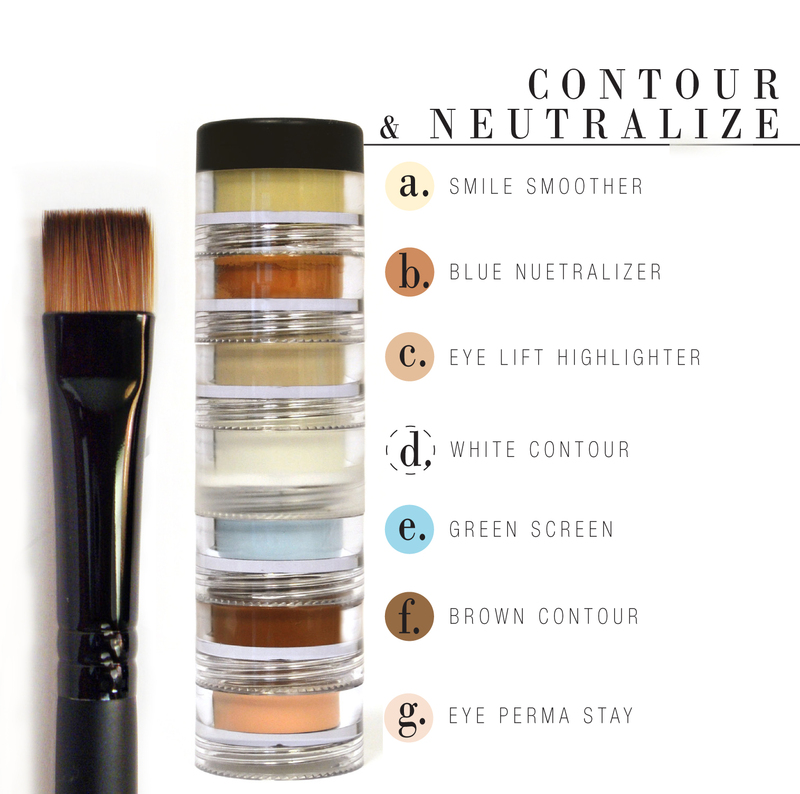 I formulated my Blue Neutralizer, with its noticeably sienna hue, specifically for the job. It may look ‘orange’ in the pot, but this is actually by design. On the color wheel, orange is opposite blue and purple, hence the neutralizing properties. In conjunction with Smile Smoother, this technique will banish darkness and provide the perfect lift. 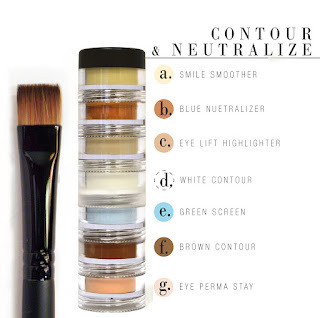 Using the Crème Contour Highlighter Brush, press Blue Neutralizer onto the eye area wherever you see darkness. Do not over-blend, but do lightly pat/press away any harsh lines of demarcation with your ring or pinkie finger. Using tip of the brush, apply Eye Lift Highlighter directly under your lower lash line, patting to blend. 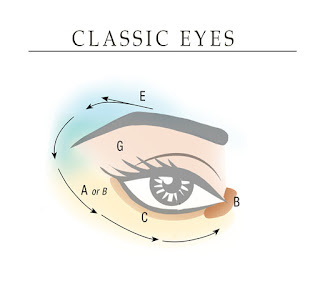 This will create a well-defined eye. Blend Green Screen as in CH Classic above. Just as so many of our other pieces & parts, as we age, our eyes can head south. The best remedy for this wayward turn is proper skin care, abundant hydration and Smile Smoother, Green Screen, and Eye Lift Highlighter! Refer to “LINES & WRINKLES” for proper placement. Nothing like waking to find Sir Puffinstuff has moved in overnight. One proven way to reduce the appearance of the puff is to visually recede the area with Blue Neutralizer and bring forward the void with Smile Smoother at the outside perimeter where it appears sunken against the inflated area. Another cause for puffy under eyes is the presence of a ‘fat pad’. During the aging process, fat naturally occurring in our face either diminishes or redistributes, resulting in either a puffy appearance, or a hollowed/sunken effect. If fat collects under the eye it will most definitely look like a puff, but will not deflate regardless of your efforts. 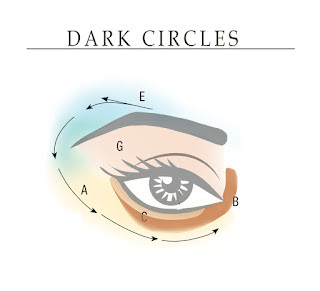 Highlighting and contouring as noted in Dark Circles above will reduce the appearance; however the only way to free yourself of the fat pad, sadly, is surgically. Be careful not to mix alcoholic beverages with high sodium foods. If you’re getting your ‘wine’ on, refrain from the traditional bar snacks such as peanuts, pretzels, chips or bar mix. These alleged ‘booze-buddies’ are, in fact, NOT your friends! Should you stumble, over-indulging in slosh and snacks—no judgement, we’ve all done it—take these simple steps to protect yourself from tomorrow’s hard-night-nods. (a) Drink 32 ounces of purified (or even better, alkaline) water before and after retiring. The extra hydration will counter yesterday’s oopsie. Make cool compresses with cotton rounds and ice water. Place on eyes for 10 minutes with head elevated to alleviate minor puffiness. If you have an adjustable bed, slightly raise the head two or three clicks to elevate your head while you sleep to reduce puffiness. Investing in a high quality pillow with great support can also do the trick! Eye Bags are somewhat misunderstood, often confused with Puffiness. 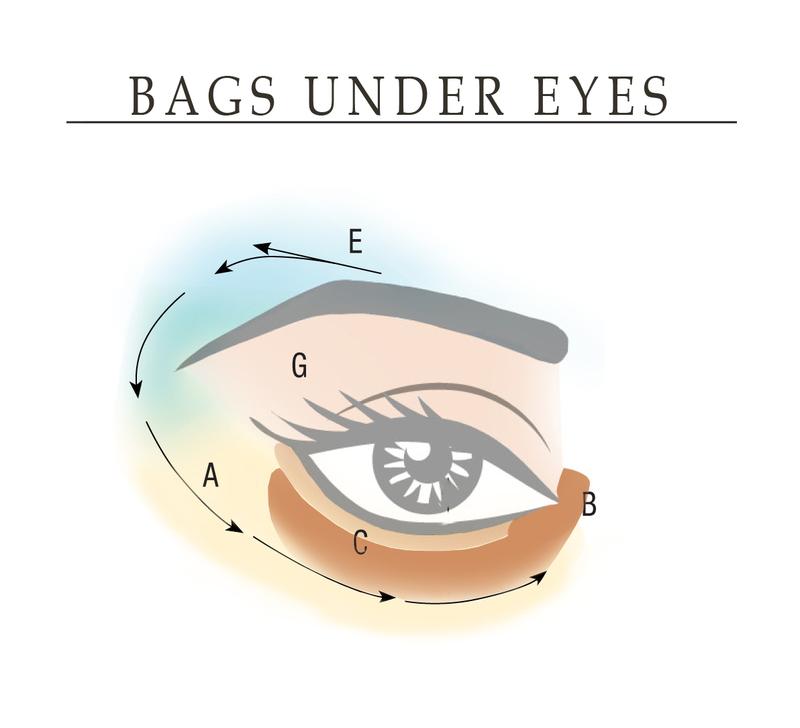 An Eye Bag happens when the top of the cheekbone meets the orbital socket to create a crater. This is very common among our CHicks with pronounced cheekbones. If you can pack a weekender under your eyes, read on! Using the Crème Contour Highlighter Brush loaded with Smile Smoother, draw an upside down moon shape directly into the hollow between the cheekbone and the orbital socket to visually raise that area. Very lightly blend keeping the lighter color visible. Stained Lids appear to have eye shadow when they are squeaky clean. Stains are primarily hereditary; however some medications can cause staining as well. Eye PermaStay is the answer to neutralizing the discoloration. Using the Crème Contour Highlighter Brush, sweep Eye PermaStay over the entire lid, from brow bone to lash line. Pat/press this crème to powder primer to not only counter the stain, but also keep your eye makeup crease-free and in place day to evening. For placement illustration, refer to CH Classic above.